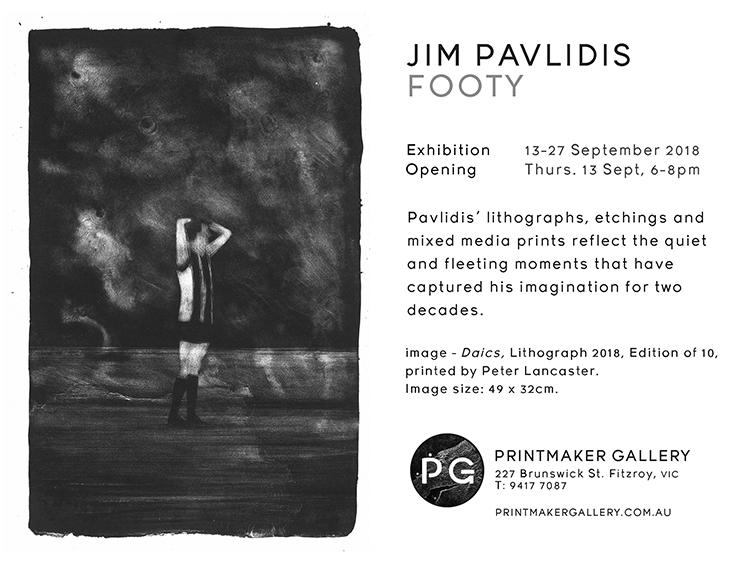 Renowned football artist, Jim Pavlidis is holding an exhibition of his art titled, ‘Footy’ from September 13 until September 27. The exhibition opens tonight at Printmaker Gallery, 227 Brunswick St, Fitzroy from 6pm. Hope you have a blinder Scragger! May the prints turn to gold.